With the recent roll out of Facebook's brand new livestreaming feature Facebook Live and Periscope's announcement of cool new features on the horizon, we thought it was high time we talk about livestreaming on this blog. How can your small business or nonprofit organization use it to build your brand - and should you? In case you haven't noticed, livestreaming video is a huge trend in social media these days. In the first four months after its launch in March 2015, livestreaming app Periscope amassed more than 10 million users. The app hit the 1 million user mark within its first 10 days! The signs are definitely pointing to the popularity of live video. In true form, Facebook noticed the opportunity and introduced its own livestreaming service this year. Facebook Live is a feature that will allow you to capture live video on your brand's FB Fan Page, interacting in real time with your audience. FB Live users have the option of saving their video streams to their timeline, or let them expire for a truly exclusive audience experience. Download our Livestreaming Script Builder to get your nonprofit ready to go on Periscope, Facebook, or Instagram Live. Facebook has indicated that it will be giving preference to FB Live videos within the Newsfeed, and there are a number of celebrities that have already noted great success with the feature. For example, Guy Kawasaki uses FB Live to demonstrate new equipment or give previews of places he visits; Alton Brown has used it for live cooking demos; and social media expert Mari Smith has been using the feature too, demonstrating how awesome it is. But why should nonprofits be paying attention to the success of livestreaming? 1) Video humanizes your brand. Video is the next best thing to being with your audience face-to-face. We already know that images and photography are hugely successful at building a bond with your audience (the rapid growth of Instagram proves that). With video, your audience can experience you with more than just a 2-D image. With video, your audience can see the angles of your face and hear the sound of your voice. It engages more of their senses - sight and hearing - and better concretes your image in their minds. It will prove to them that there's a real person behind the brand and will allow them to relate to you on a new level. 2) Livestreaming builds trust and authority. Getting on video can do a lot to solidify your authority in your niche or area of expertise. Live video allows you to talk about topics of interest to your audience and demonstrate the wealth of knowledge you have on the given subject. If the thought of putting yourself on camera makes you break out into a sweat, you're not alone! I'm totally like you and there are plenty of others. Actually, it's estimated that only about 3% of Periscope users are actively broadcasting, while the remaining 97% are viewers only. There are lots of us out there who are nervous to get started. Those who are using livestreaming platforms to provide consistent value to their audiences are rapidly growing their brand presence and authority. But your real concerns are probably things like... What if you can't answer a question? What if you stumble on your words or blank on the information? What if I'm in the middle of a broadcast and I lose connection? It's okay! Your first few videos aren't going to be perfect. You'll need to come to terms with that now. You're human and your audience already loves you - so they're going to be totally forgiving when you have a few um's or experience tech problems. If you can give your audience even 10% more information than they already know about a specific subject, you have expertise. And practice makes perfect when mastering your on-camera presence. 3) It creates a two-way channel of communication. Livestreaming platforms like Periscope and Facebook Live have built-in functionality that allow your audience members to comment and join the conversation. It's popularly used as a way to gather your audience's questions and answer them in real time over video - and how cool is that? It is the next best thing to a two-way video connection! And if you're looking for a two-way video connection, there are platforms like Google Hangouts that allow you to broadcast video stream with multiple cameras. Maximize these functions on your fave livestreaming app and you'll reach a kind of engagement with your audience that was never possible before with text-only media. Have these benefits piqued your curiosity? 1) Decide on your frequency. You may not be thinking about setting a regular livestream schedule when you first start out. No problem - try one or two off-the-cuff streams to test things out. Then when you realize how much you love it, decide how frequently you (and your team if you have one) can realistically support the addition of livestreaming to your marketing arsenal. That might mean once per month, every other week, or maybe once per week with extra streams in between to mark special announcements or when you're in "campaign mode". Pick a date and time! Put it in your calendar. Avoid re-scheduling. 3) Give your audience some notice. Send the info to your email list, post on Facebook, Twitter, and any other platform you're currently sporting. Remind your followers a few times in the week before your broadcast, with increasing frequency closer to the date. If you've chosen a specific topic for your stream, include that in your promos so you can attract viewers interested in that subject area. 4) Introduce yourself and your brand. It's time to start your broadcast! On any livestreaming platform, this is a step you CANNOT forget. Your video could be shared by your networks or embedded on someone's blog. You want to be sure that anyone who watches your broadcast, no matter WHERE they came from, will catch who you are and what your organization does. Basically, your elevator pitch. You may want to do a brief intro at the very beginning of the stream, then again a few minutes in to capture those who logged on late. 5) Say hello to your viewers. Take full advantage of the two-way nature of the platform and start welcoming your viewers by name or handle. This becomes a really personal touch. And *bonus* can help you kill a bit of time while you wait for more viewers to log on! If you are streaming about a specific topic, this is where you can really shine. Ask your viewers targeted questions about what they're struggling with on that topic. Answer their Q's as they ask them in the comments section. Or perhaps you have something you really want to discuss about your topic. Work your way through your 'speaking notes' (keep it casual) and answer Q's at the end. Whichever format you prefer, this is where your viewers will get the most value from logging on to your stream so make sure you answer their questions! Livestreaming can be a fantastic addition to your content marketing strategy. But you lose its effectiveness if you're not using your viewers' captured attention and 'funneling' it to the next stage in your marketing plan. Maybe you are promoting an event? Direct your viewers to register online. 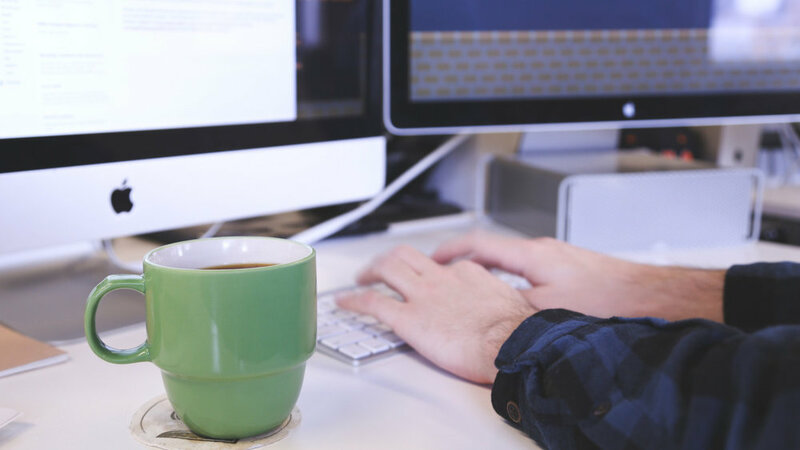 If your stream topic aligns nicely with a blog post you published recently, send them to your blog page. Or if you've been spending some focused time in building your email list - ask viewers to subscribe. Well, whaddaya say? 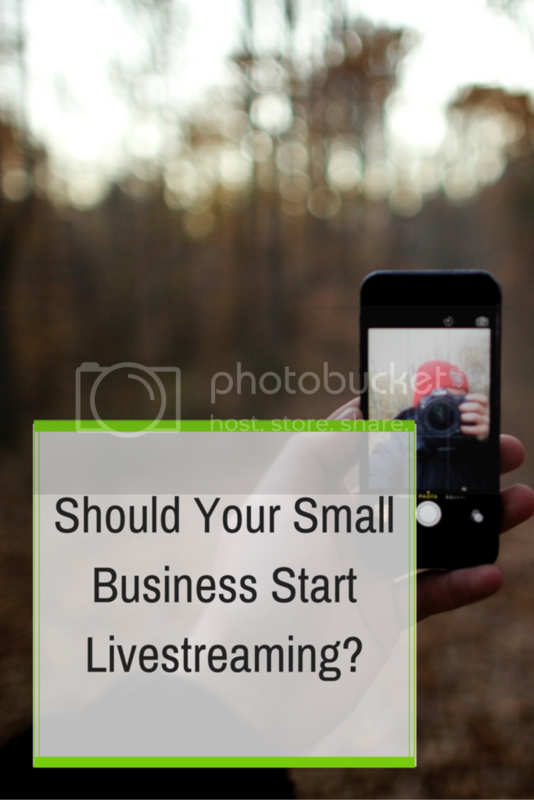 Are you ready to start livestreaming? To help you get started, we've put together a Livestreaming Script Builder. You can download it below to help you plan your next Facebook Live or Periscope broadcast.